Wednesday already? My how time flies…… when you’re busy having fun in your sewing room!! Well actually I haven’t been in my sewing room that much this week, but I have been having fun!! I got to hang out with my MQG group last night, more on that later!! Let’s get to those WIP’s! After much contemplating and waffling over what type of quilting lines I wanted to make on my Dreamcatcher Quilt, I finally got my trusty walking foot out and just dove into quilting, I think with some things, you just can’t overthink it!! I’m having fun with this concentric square pattern, not much of a divergence for me but hey, at least it’s not circles! It does however get a bit monotonous but I’m already halfway through and I’m really excited to finish this quilt!! 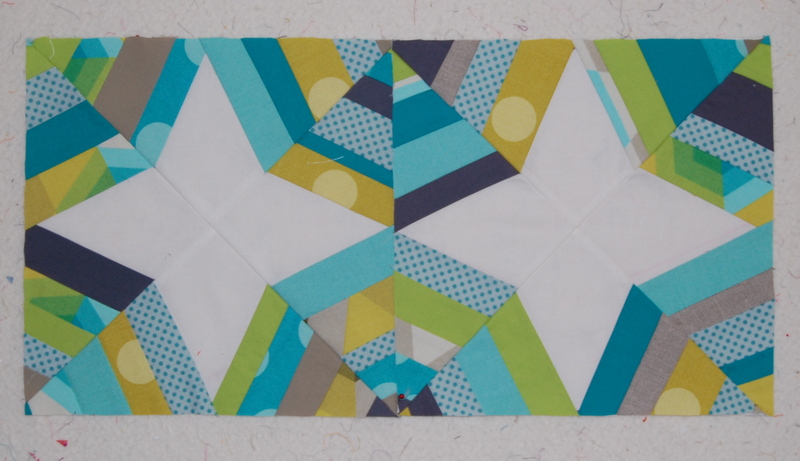 During a break from quilting all those lines, I made a second spiderweb block. That was fun, but not sure I’ll be able to make a whole quilt out of these. I’ll have to see how much they grow on me. I also pulled some possible fabrics for a few small bags I want to make. It’s an incomplete palette so far, but it’s a start. 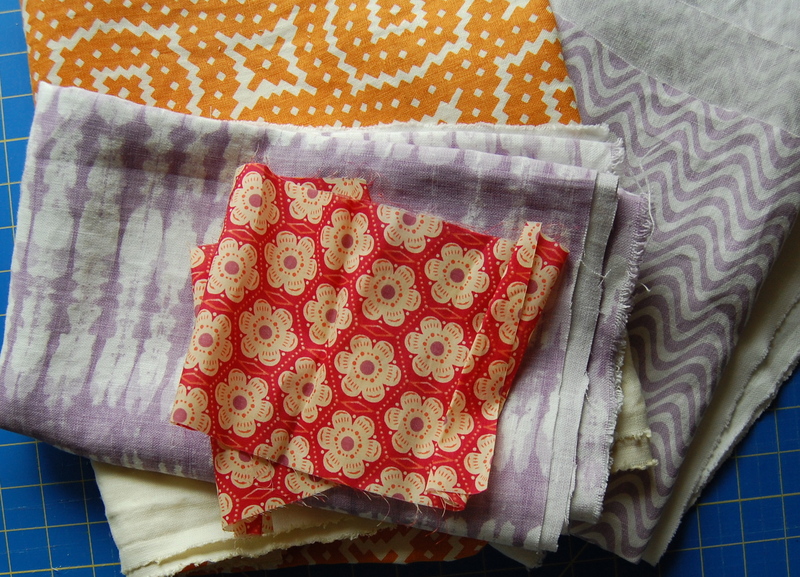 I really want to incorporate some of my Raoul Textile Fabrics from my recent “field trip”. So far, Elizabeth Hartman and Anna Graham’s patterns have been my go to’s for cute small zipper pouches! A girl and her friends/family can never have too many of those right? I’m linking up over at Lee’s WIP Wednesday, again this week. If you haven’t just come from there, I have to tell you, it’s pretty fun and so darn inspiring!! 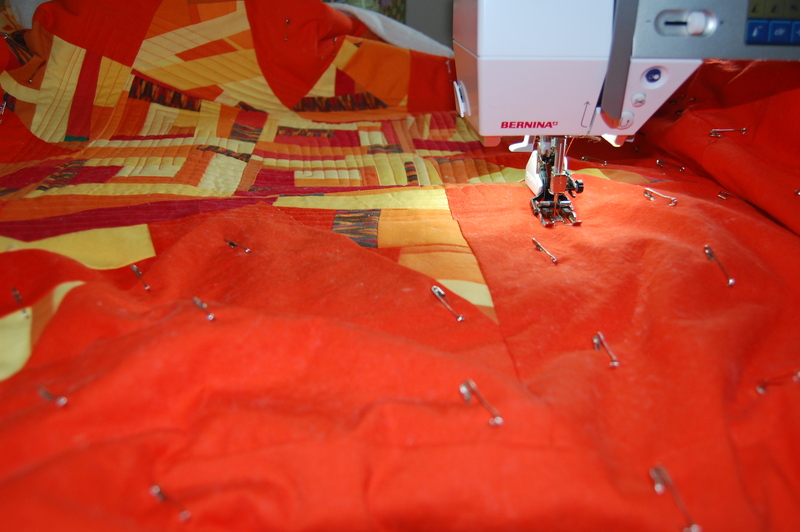 I love your Dreamcatcher quilt and I can’t wait to see what it looks like all quilted!! Dreamcatcher is really beautiful. Wish I could make that too. Hope to see it in person. Where will you be showing it around Santa Barbara. I do love all my little zipper pouches! I am in need of more…will add to the to-do list. 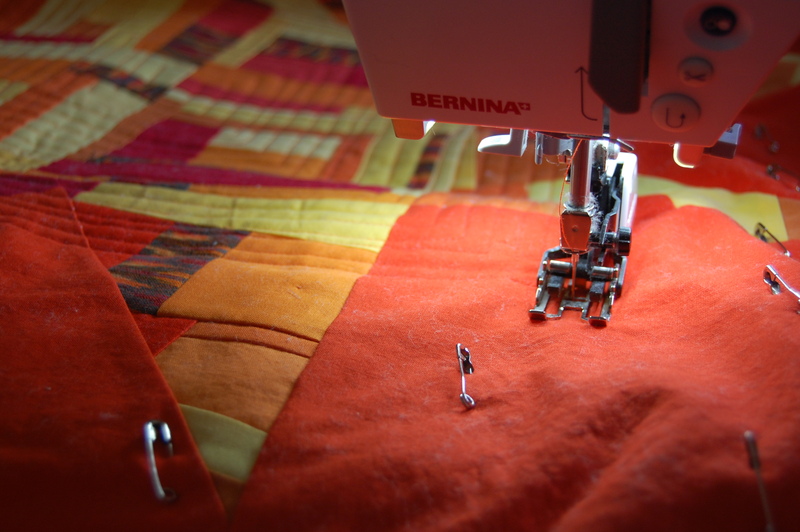 Your quilting looks stunning on that quilt!